This is find is the ultimate tote bag for those in need or just want another bag. 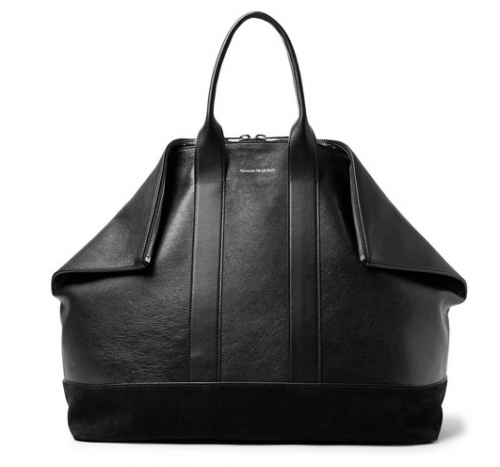 This Alexander McQueen’s sharp ‘De Manta’ tote bag is ideal for daily commutes or overnight trips. Made from supple leather and suede, it opens to a fully lined red interior that’s spacious enough to hold everything you need for either scenario. Use the zipped pocket for smaller essentials and go HERE to purchase if you need it in your life.